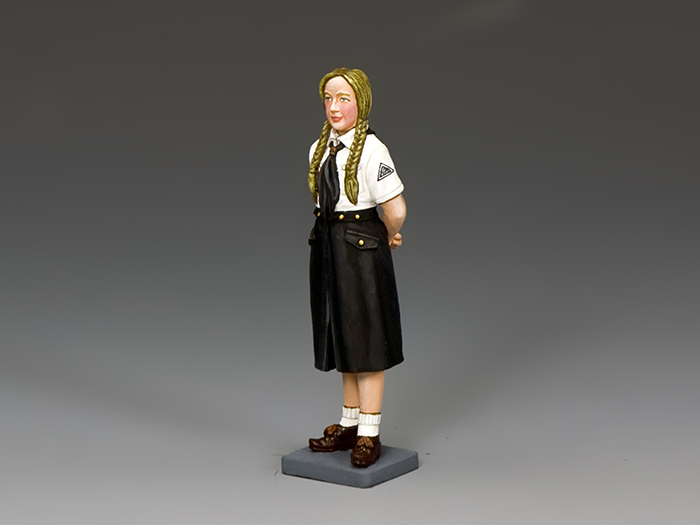 A young teenage recruit to the Bund Deutscher Madel, the girls’ wing of the Hitler Youth. 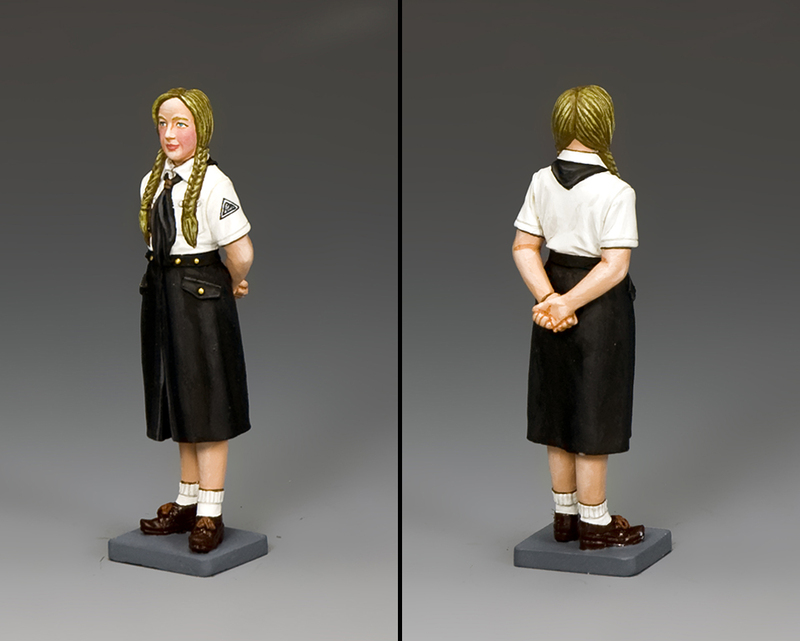 She is wearing the standard BDM uniform of white blouse, black neckerchief and below-the-knee dark skirt. Most girls wore white ankle socks and their own black or brown shoes.